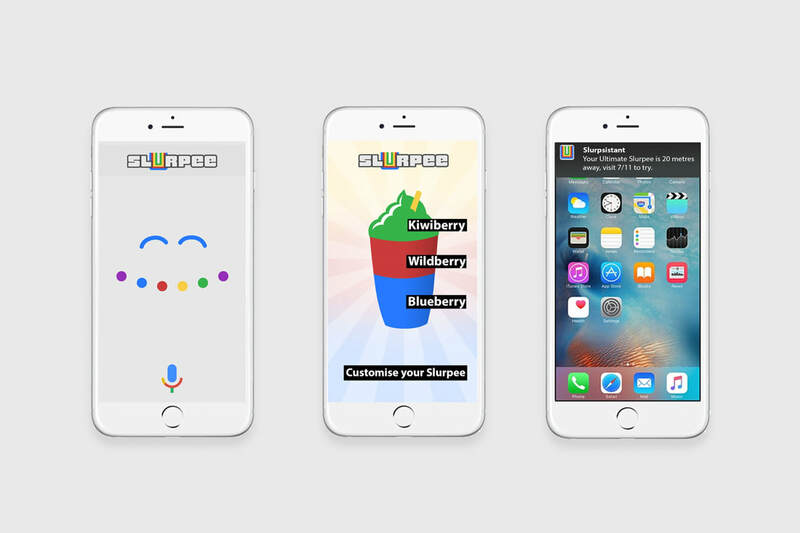 Slurpee - How can we release new flavours and make cool stuff with Google Assistant? The Slurpee App has fairly bad reviews and users specifically complained about the lack of a flavour list. 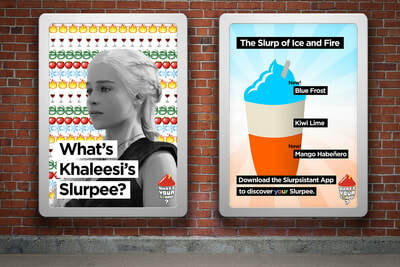 There are nearly 100 different flavours available and "Slurpers" love to mix and create unique Slurpees. 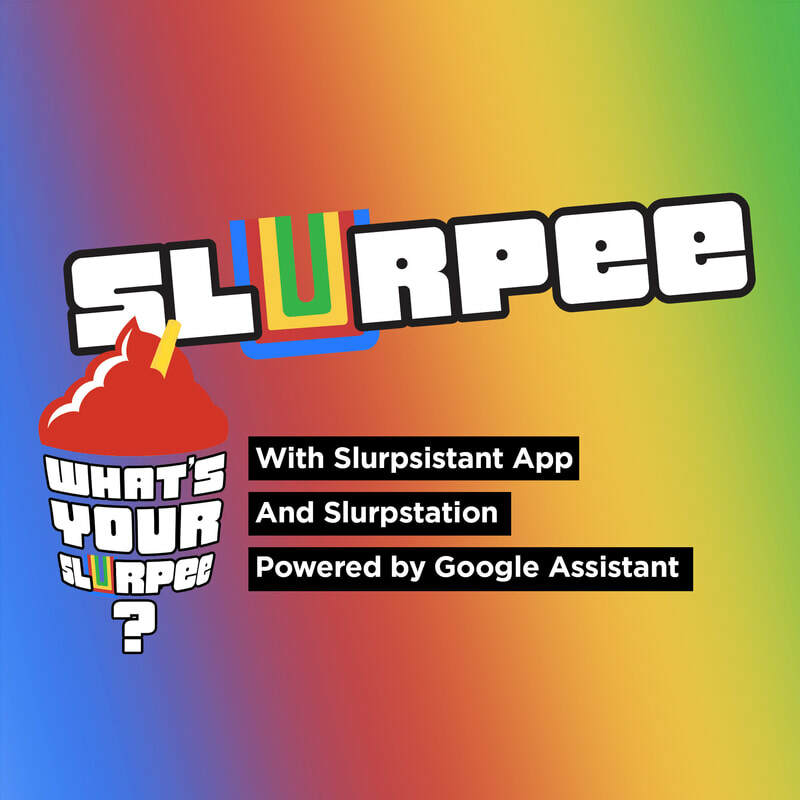 By integrating Google Assistant into the Slurpee App, we could learn more about the users, find their perfect flavour combination, let Slurpers review, name, and share their favourites, and create a unique and fun personality for users to interact with. 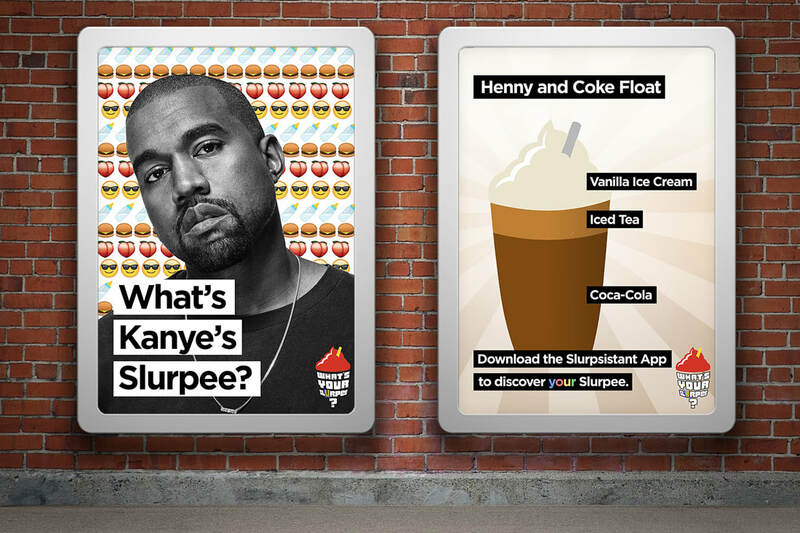 The campaign would focus on celebrities and the Slurpees that are unique for them, asking the question, "Whats YOUR Slurpee?" 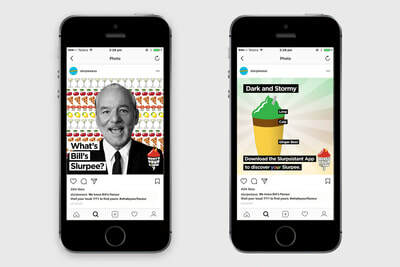 Two out-of-home ads, one Instagram ad, an updated mobile app powered by Google Assistant, and a public installation of a "Slurpstation" vending machine.